Another monthly notebook from earlier in the year which I had not got round to writing about yet because I hated it. The Travel Passport Sized Notebook from Paperchase with Front Pocket was the usual bargain price for an A6 notebook at £1.75 but the paper inside the notebook was just wrong. Unfortunately when the notebooks are wrapped in plastic in store you cannot see the paper to make a proper judgment on whether you want to make the purchase. 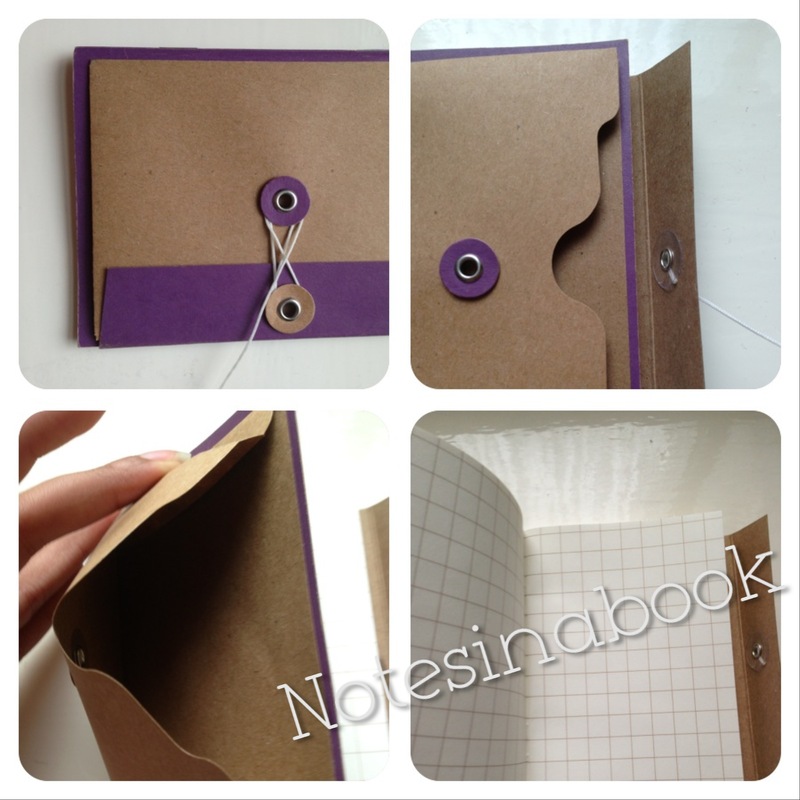 So when I bought the notebook I was simply tempted by the purple colouring and the front pocket and cute fastening. The paper is squared (which I normally love) but the squares were just too large (1cm) and when writing in this notebook I just could not seem to get what I wanted on the page. It is rare for me to get exasperated by a notebook – but I did – and it is just as equally exasperating as I can’t seem to explain why. So simply put, ignore this one and opt for the plain paper version instead – it is much more satisfying. Of course if you like large squares (1cm) this might be just want you need.